Are you seeking to be more agile in Minecraft? Well, with Wall Jump Mod 1.7.2 and 1.7.10 now you can do it. It will let you bounce right off of walls, jumping up to any wall and rebound back off. Even you can jump on parallel wall every time you turn 180 degrees. It’s like in Mario! With this new update you can find that jumps are limited and you have a bar to control how many jumps are left, but don’t worry because it’s highly customisable. Also you can choose features of the jumps in the jump settings menu to play around with thinks like disabling auto-run, wall jumping whilst flying, among others. Rembember this mod is still in earyl development so it will be usually bugfixing to get it perfect. 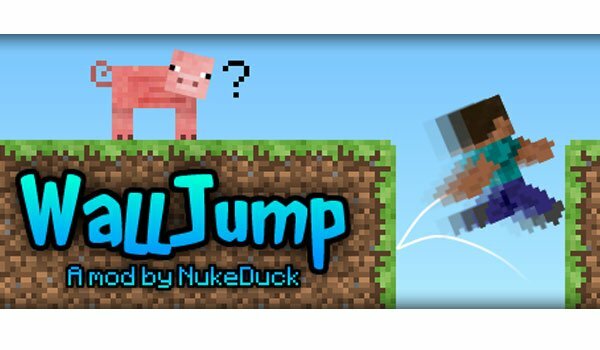 How to install Wall Jump Mod for Minecraft 1.7.2 and 1.7.10? Bounce on the walls of Minecraft!